Mexican drug lord Joaquin “El Chapo” Guzman, aka “Shorty”, has escaped from a maximum security prison for a second time, officials say. In a statement, Mexico’s National Security Commission said El Chapo Guzman was last seen in the showers of the Altiplano jail late on Saturday night. 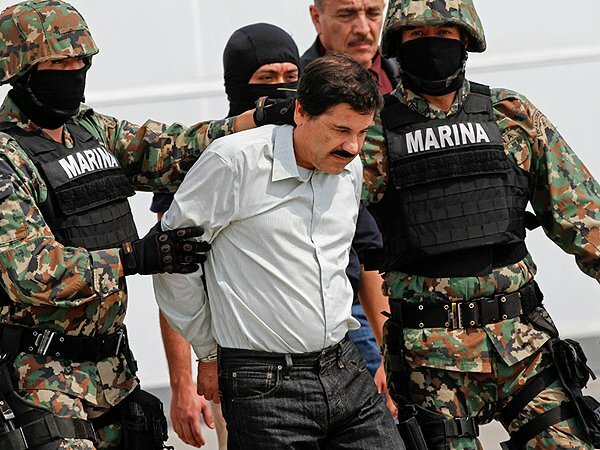 Guzman was the leader of the Sinaloa cartel, which smuggles huge amounts of illegal drugs into the US. Officials say that Joaquin Guzman’s escape was discovered when officers checked his cell in the Altiplano prison, which is near Mexico City. A search operation has been launched and flights have been suspended at a nearby airport. El Chapo Guzman escaped from a Mexican high-security prison in 2001. He was smuggled out in a laundry basket after bribing prison officials. He had been serving a sentence of more than 20 years, after being arrested in Guatemala in 1993. El Chapo Guzman has been indicted in the US on federal drug trafficking charges.